SALT LAKE CITY December 9, 2016 – The Utah Attorney General’s Office Mortgage and Financial Fraud Unit announces the sentencing of Alan Dean McKee, 57, of Benjamin, Utah, to 1 to 15 years in the Utah State Prison. McKee had previously entered a guilty plea to two Second Degree Felonies for his role in hatching various fraudulent schemes netting him approximately $1.2 million. McKee’s case was investigated and prosecuted by the Utah Attorney General’s Office Investigations Division in cooperation with the Utah County Attorney’s Office. A companion case against McKee’s alleged co-defendant Gary Anderson is still pending. 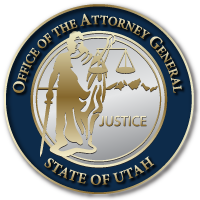 “The Utah Attorney General’s Office will continue to fight white collar crime as one of its top priorities,” said Utah Attorney General Sean Reyes. “As the year comes to a close and we look forward to 2017, I want to commend the investigators, paralegals, attorneys and staff in our office and among our many law enforcement partners who work tirelessly to stop scams and shut down fraudsters. One of the McKee schemes involved telling representatives from Ames Construction that he was facilitating a project involving the Church of Jesus Christ of Latter Day Saints, netting McKee over $300,000. McKee also defrauded two other individuals out of almost $900,000 in separate schemes involving the purchase of farm equipment. After charges were initially filed against McKee in February 2016, the Utah Attorney General’s Office discovered McKee was also involved in another fraudulent scheme. McKee had claimed to own a stretch of railroad track in Utah County and then sold the rights to remove the track for $130,000. It was later discovered the track belonged to Union Pacific Railroad, causing them approximately $175,000 in losses. McKee was sentenced by Judge Vernice Trease of the Utah Third District Court for Salt Lake County. Judge Trease noted the complexity of the crime, the size of the loss, and the number of victims as factors she considered before ordering imprisonment. In addition to the term of incarceration, McKee was ordered to pay full restitution to all victims. The investigation was assisted by Tyson Downey from the Investigations Division and Richard Hales from the Utah County Attorney’s Office Investigation’s Division. This entry was posted in Archived Posts, Recent Posts and tagged Alan McKee, Brian Williams, Che Arguello, Fraud, Tyson Downey on June 27, 2018 .